This flyer is emailed and mailed out to donors. 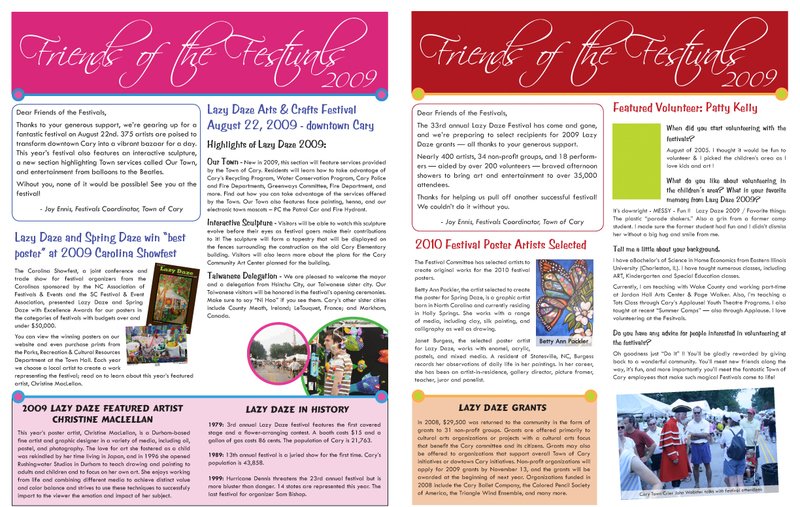 Donors to Town of Cary arts festivals, also known as Friends of the Festivals. Examined previous marketing materials to stay within the Town's brand. Worked with the festival coordinator to brainstorm ideas for the newsletter content. Conducted research and interviews as needed to obtain content. Wrote copy, laid out and designed the flyer; edited copy as needed to fit in the design.